An Oscar viewing party isn't complete without a gorgeous dessert spread. From mini cheesecakes to a luscious coconut layer cake, here are nine amazing desserts that deserve an Academy Award. 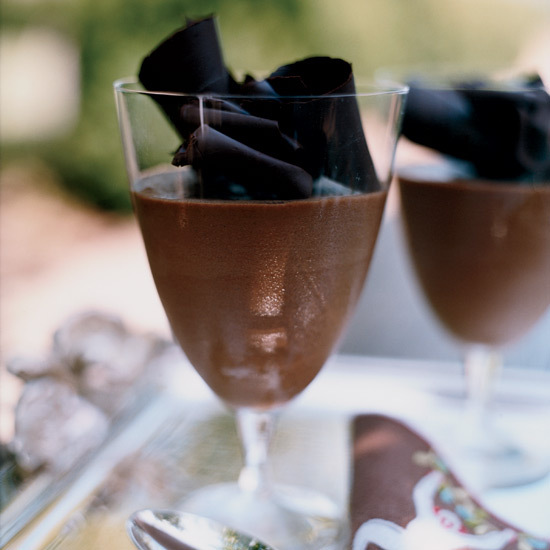 Giant curls of bittersweet chocolate garnish this beautiful, rich dessert. 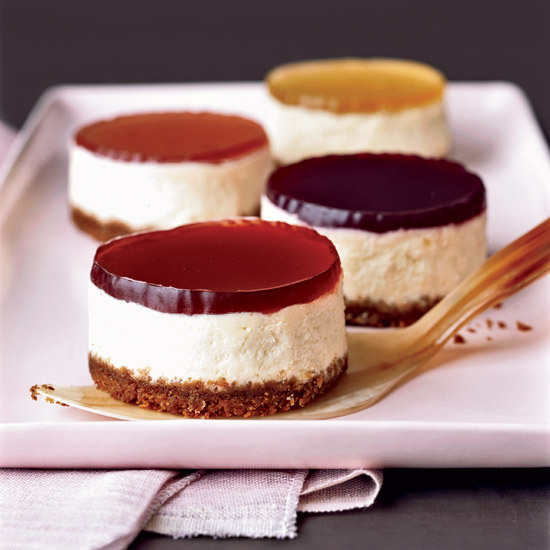 Goat cheese lightens the texture and makes for deliciously airy miniature cheesecakes. 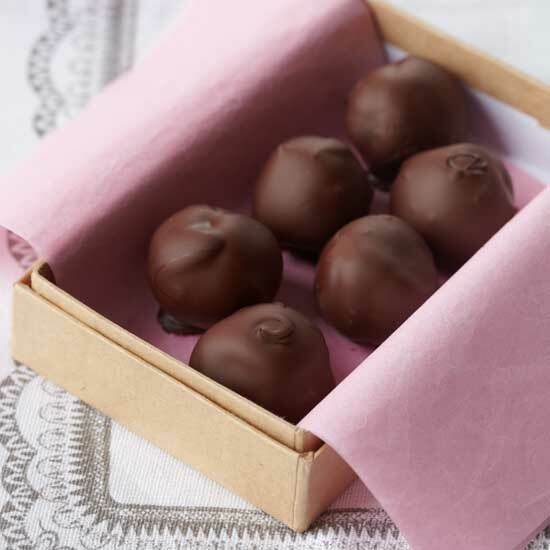 At the Penny Ice Creamery in Santa Cruz, California, Kendra Baker uses caramel ice cream in her bonbons, which have a silky chocolate shell and flaky sea salt on top. 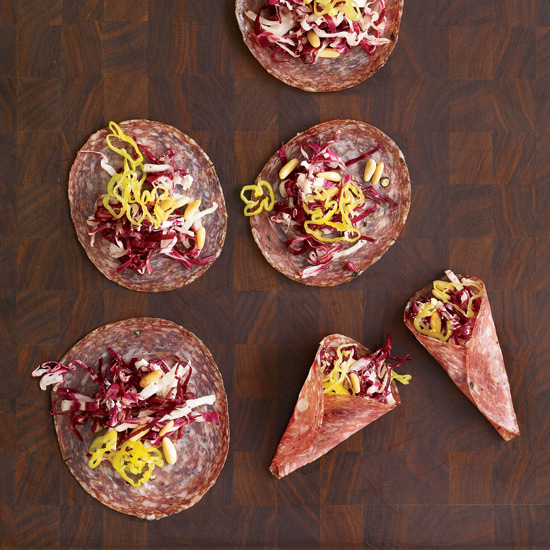 They are a perfect, chocolaty snack and look super impressive. You can use whatever kind of ice cream you like! 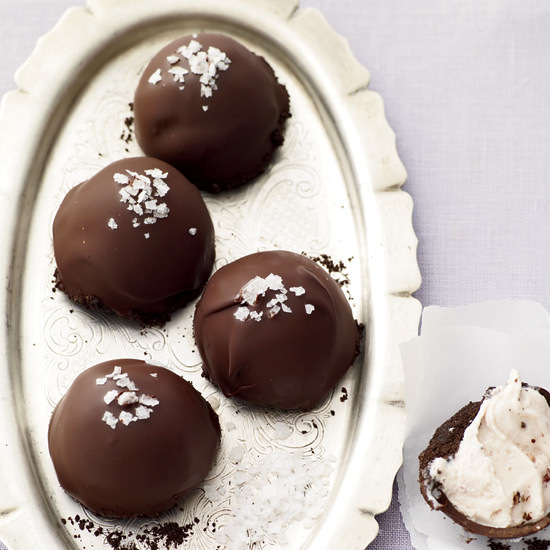 Pick your favorite ice cream to fill these silky chocolate shells topped with flaky sea salt. 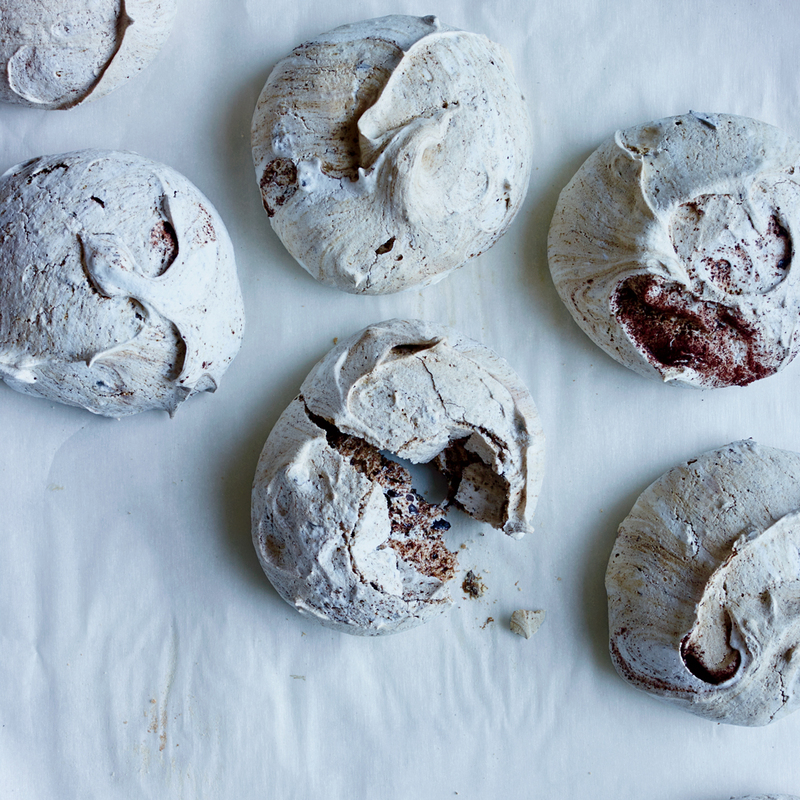 These large, crisp and chewy meringues are made with just enough espresso and bittersweet chocolate to keep them from being overly sweet. 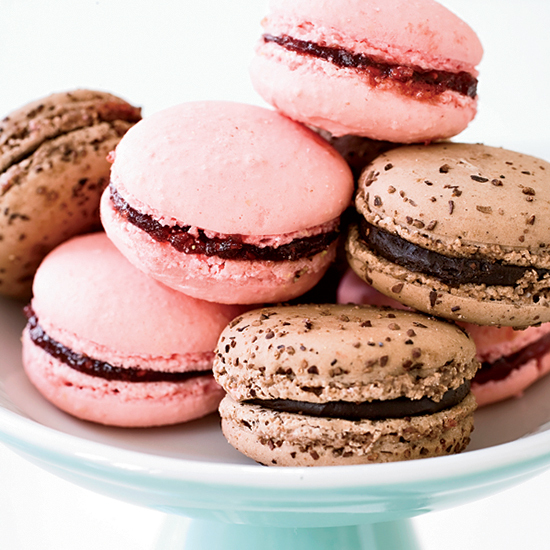 Not only are these French cookies delicious—they 're also super simple to make. 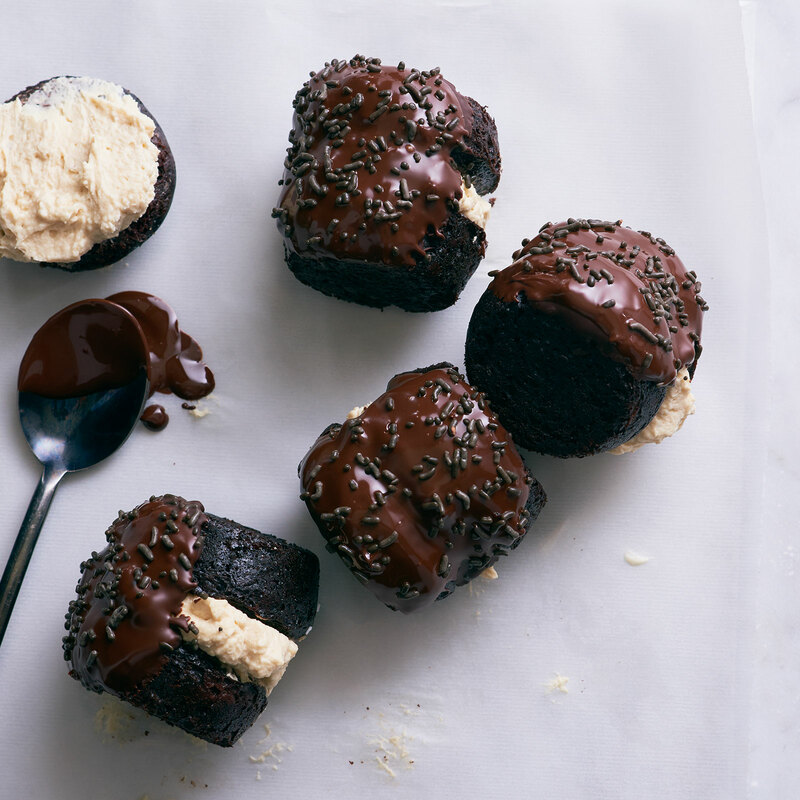 For an updated take on the classic chocolate Hostess cupcake, pastry chef Mindy Segal uses mascarpone in the rich and creamy filling. This show-stopping dessert features layers of super-moist coconut cake spread with tangy passion fruit curd, topped with whipped cream and crispy flakes of toasted coconut. 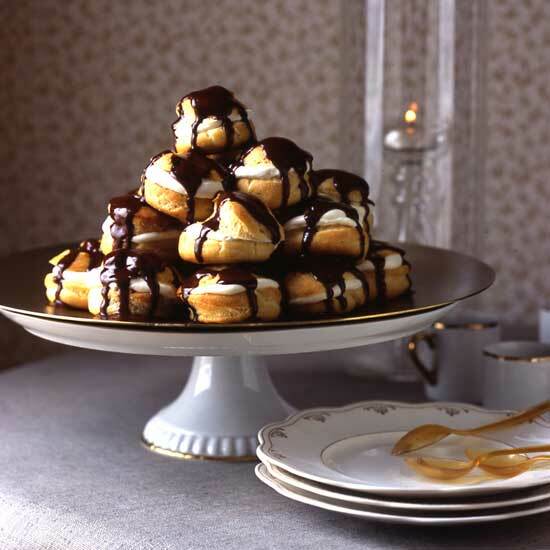 Impress Oscar party guests with a tower of fluffy, chocolate-covered cream puffs. 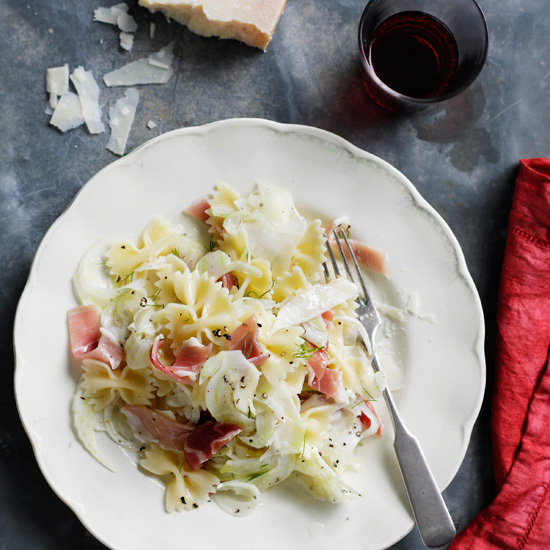 Master chef Jacques Pépin flavors truffles with many ingredients, but he is especially fond of the coffee-rum combination in this recipe.